Registration for Americade, the world's largest (and my favorite) motorcycle touring rally is underway. The rally will be held June 7 - 11. Preregistered attendees can check in on the 6th and avoid the longer lines on the 7th. 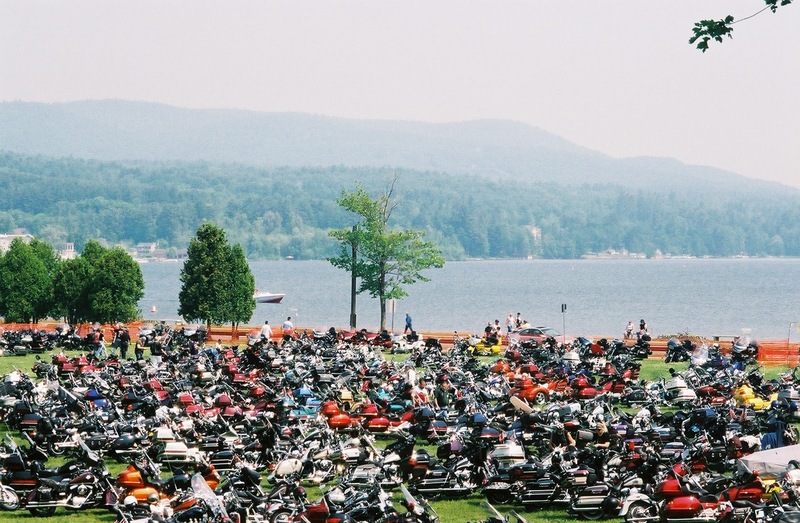 The rally moves its HQ to new digs this year, the Fort William Henry Resort (located at, surprise! Fort William Henry). Rally events occur throughout the village of Lake George, New York but the entire Adirondack Park and the mountain ranges in nearby Vermont are your playground. Great routes abound in every direction from Lake George. For more info and/or to register, click here. 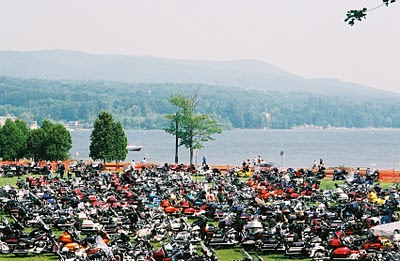 I've attended 8 Americade rallies (and 2 unofficial Fall "Renecade" gatherings in Lake George of Americade fans) and have yet to run out of fun and interesting things to do or awesome twisty, scenic roads to ride. Whether slabbin' it, sweeping curvy Route 9 along the lake, or serious peg-scratchin' thru the intense mountain gaps in Vermont (think Deal's Gap with elevation changes), there's something to suit every type of rider and machine. The amount and variety of both on and off-bike events is dizzying (including demo fleets from 14 OEMs) so register early and start planning now for an awesome experience -- I have. This one looks interesting. I've been looking into more places to go, things to do and see and this might just be worthwhile. Never been to a huge rally, but this doesn't look pretentious - maybe I'll make it.